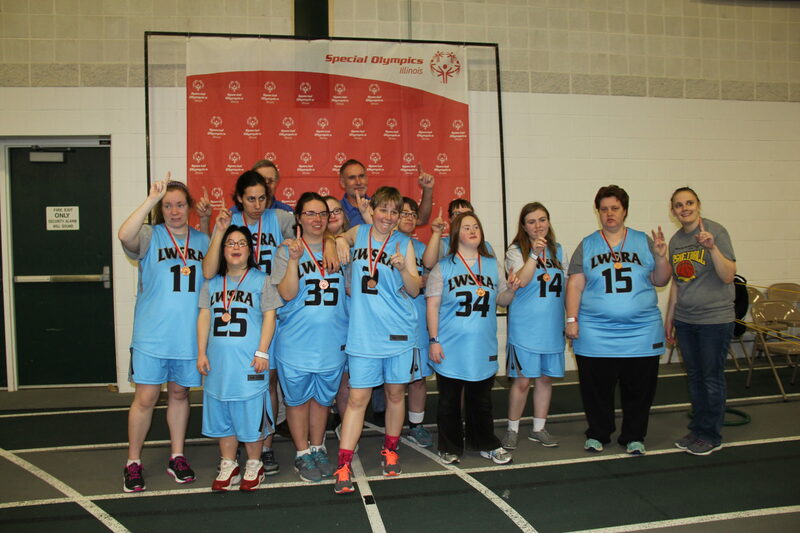 This March Madness weekend, Bloomington-Normal was full of Special Olympics Illinois’ athletes and coaches playing basketball like champions! Both the Shirk Center and Horton Fieldhouse were full of competitive athletes and excited coaches. I was able to spend some time with the New Lenox Lady Hawks and their coaches during their morning game against the Adams Country women’s team. I asked long-time volunteer coach Ralph Krauss what his favorite thing about coaching is. “Seeing the little moments, like an athlete making a basket for the first time,” he replied with pride. Coaches like Ralph have made the Lincolnway Special Recreation Association an incredible place for the athletes of New Lenox since the 1970’s. Here, they have programs for athletes with intellectual disabilities, from preschool through adulthood. Tami Pareti, the Senior Recreation Specialist at Lincolnway Special Recreation Association, explained that many of their athletes have been with the program for upwards of 20 years. 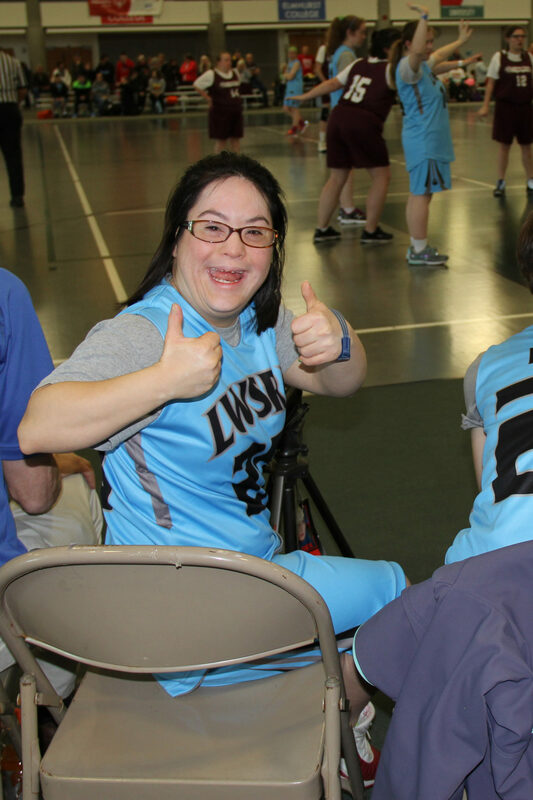 With the help of volunteers like Coach Krauss and many others, Lincolnway has recently acquired their own facility that is home to six Special Olympics teams and five adaptive teams, along with many other programs. The Lady Hawks gave their opinions on what it means to play for the team. Paige met her best friend Nicole at basketball practice. Lexi has participated in basketball, swimming, track, and bowling (just to name a few!) for over twenty-five years. Jenna, who received the best spirit award this weekend, demonstrated incredible sportsmanship while cheering on both her teammates and her opponents. Finally, Tami, who has been with the program since childhood, overcame her fear of spending the night away from home this weekend! These milestones, experiences, moments of joy and opportunities for building life-long relationships would not have been possible without the unwavering support of Lincolnway’s families, coaches, staff and volunteers. Thank you Lincolnway Special Recreation Association for helping to transform the lives of our Illinois athletes and their families. Congrats to the Lincolnway Lady Hawks for a fantastic basketball season!